About two years ago, I was picking up some boxes of parts at a fellow collectors shop when he showed my friend and I a three speed he had picked up in Daytona Fla twenty years earlier. I was intriqued and took some pictures and offered him $200 on the spot. He said he wasn't really ready to sell so we let it go. A couple of days ago he called to chat and say he was moving some of his bikes and was I still interested? Hmm, what to do? We settled on a price closer to $300 and I will have to wait for better weather to go and get it. 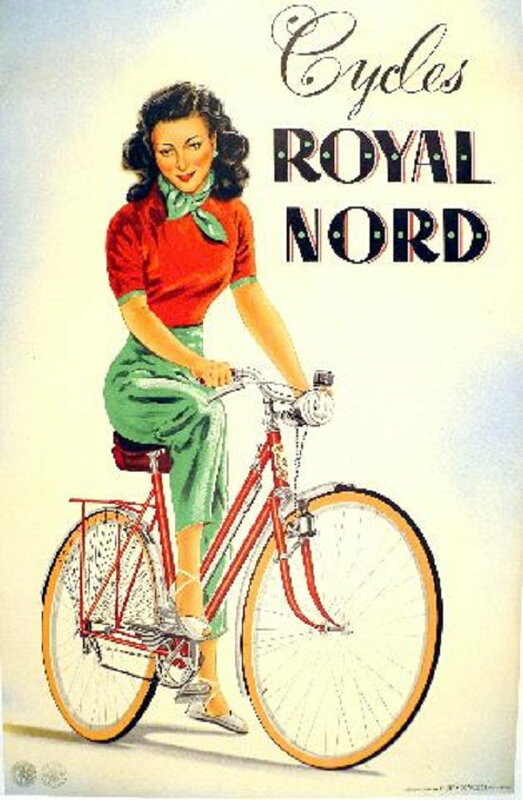 Made in Belgium, this Royal Nord President was made by a company better known for its motorcycles it seems. 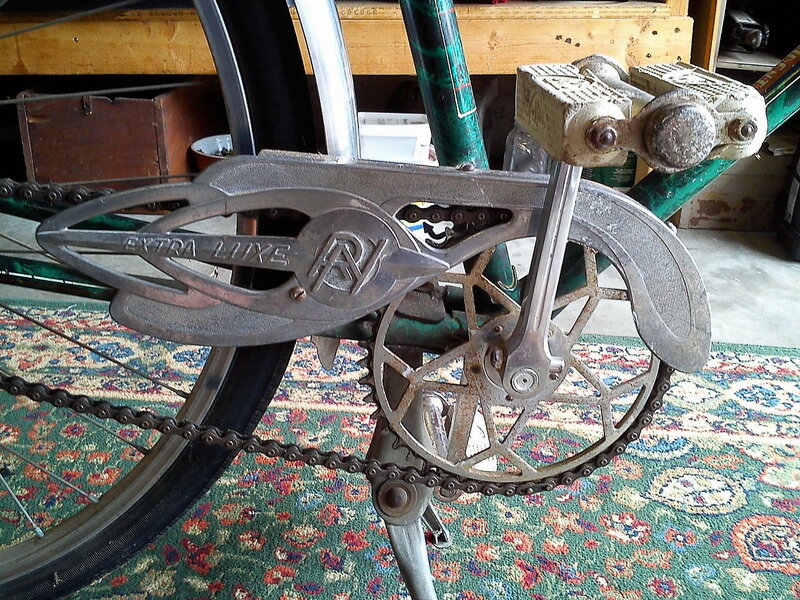 Brampton 3 speed and shifter is English and a close relative to Sturmey Archer. 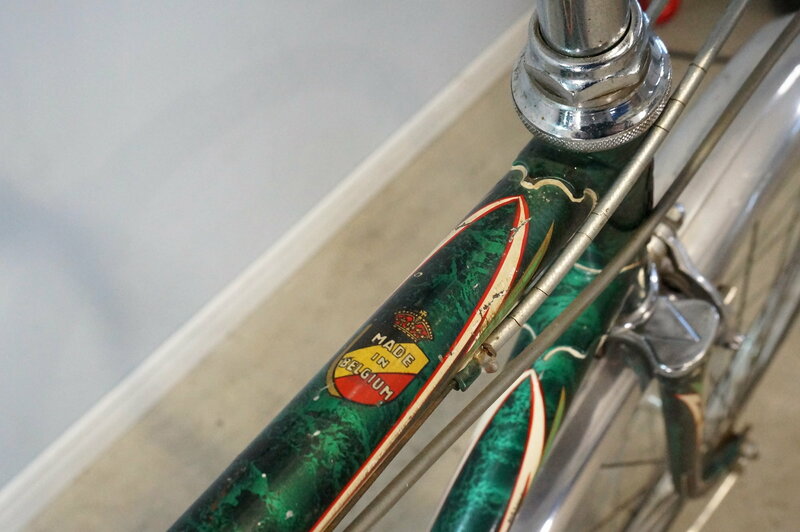 I love the marbleized paint and flowy chainguard. Here hoping it is mechanically sound. Here are some pictures from that day 2 years ago. One of the few ads I've found. Very nice and quite unique as you have pointed out. 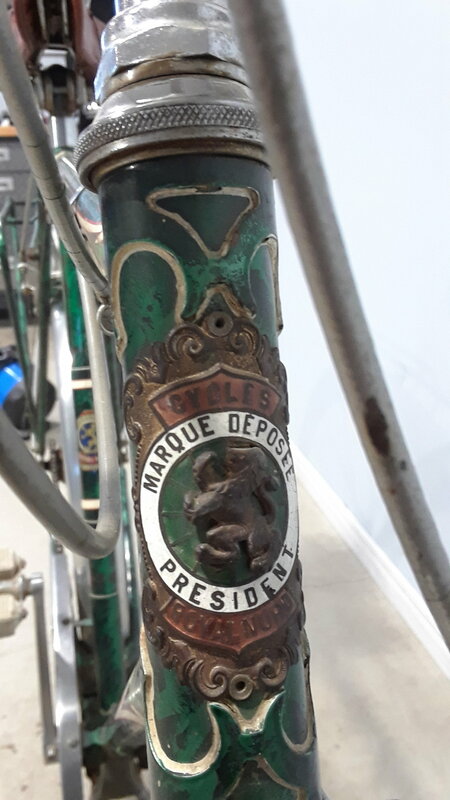 I have a Staiger shorty chainguard, that I should build a bike around. Beautiful. I love he paint too and that chain guard is awesome. Wow, never seen the marble effect on 3 speeds. Did he throw in the carpet which goes with the bike so well! i hope it is rideable from the getgo as well. Beautiful addition to a stable already stocked with keepers. Ow, very nice! I love those Belgian sports machines, but for some reason the ones I come across are always way too small for me. As if they never made any bigger than 57cm or so. Thank you for sharing this most excellent find! Chainset looks like it may be either Haubtman or Hermesse. What make is the distinctive propstand? Shall look forward to more imagery when opportunity permits. 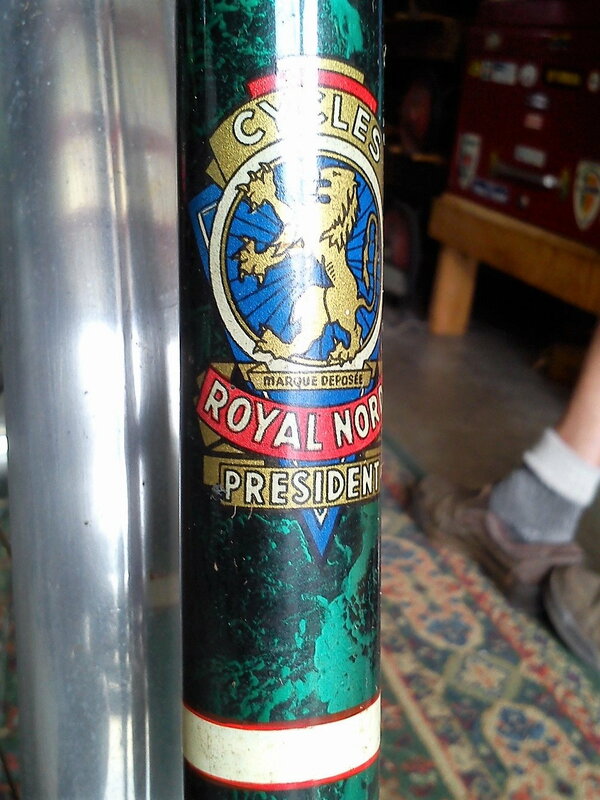 Royal Nord President is Home! Finally a break in the weather allowed me to make the 100km trip to pick up the Belgium Royal Nord President, and it is home as of this evening. 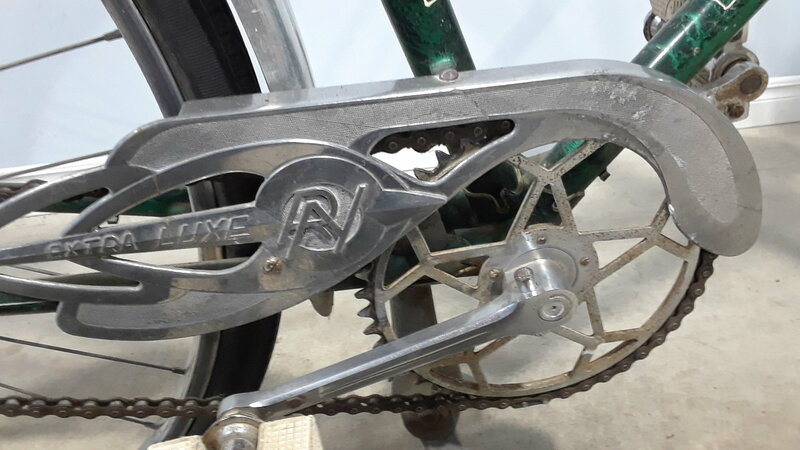 What a mix of components, Spitfire mudguards with plane icon stamped in the alloy, Weinmann 810 brakes, Dunlop Imperial 28"x1 1/2" tires (made in Canada) Brampton hub and shifter and lots more to discover! 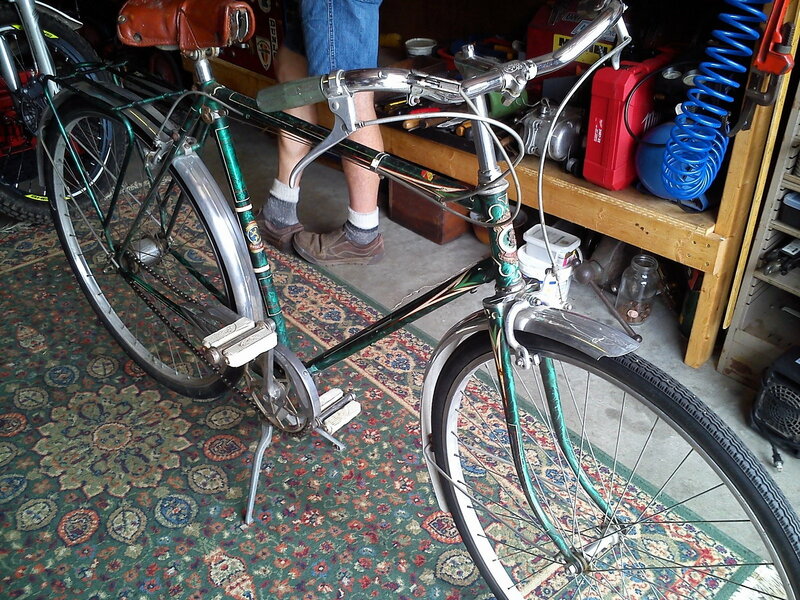 Really thrilled to have this bike and intend to refurbish and treasure it. More to follow. Yet another new-to-me marque. Thanks for sharing this great find! The new bicycles (and cars) just don't have the aesthetic appeal of the classics. Hard to put a dollars value on a bike like that, other than what someone offers I guess! No idea yet and did not find any markings. Everything else appears to be European so far. 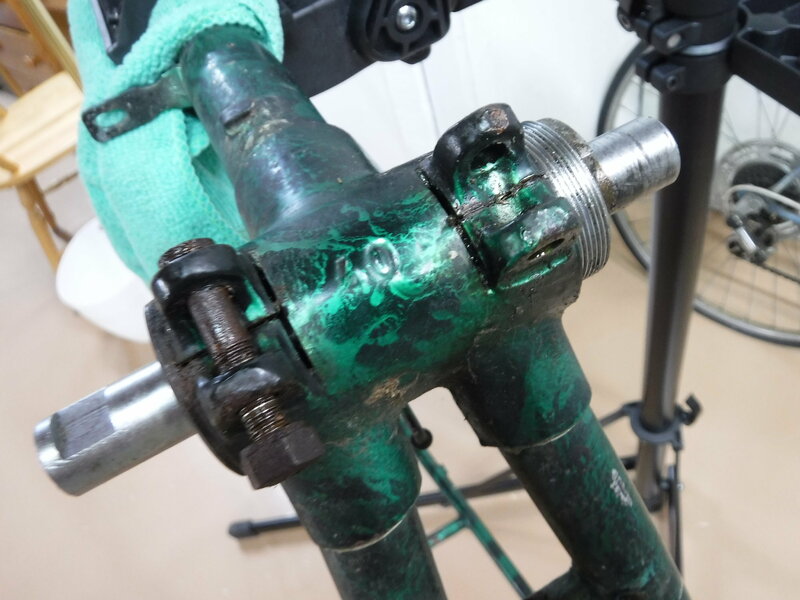 Never seen a bottom bracket like this before! Aiyee! The dark underbelly! Not a screw in BB I take it? Must have threads as well as the lock ring appears to be threaded. These are called "pliers bottom bracket"
Just could not wait! The Royal Nord has been dismantled and restoration begun. 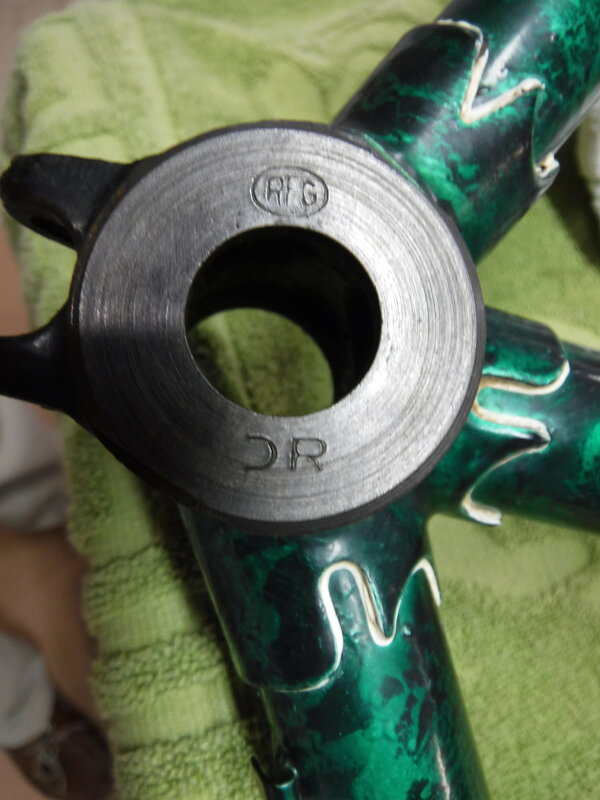 The BB is stamped RFG and has a backwards C and R marking. 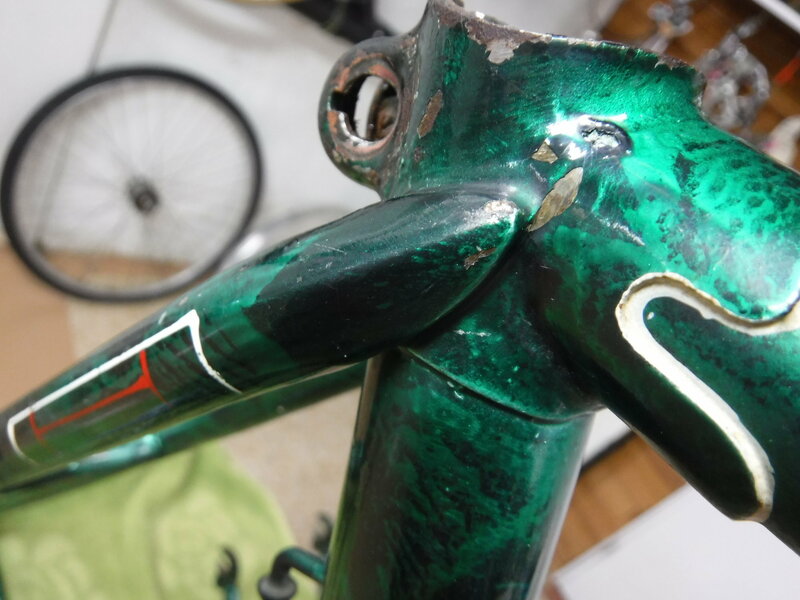 The grease was hard and the BB stiff but appears in very good condition. One cotter was very recalcitrant but did finally come out. The headset is in very good condition as well. 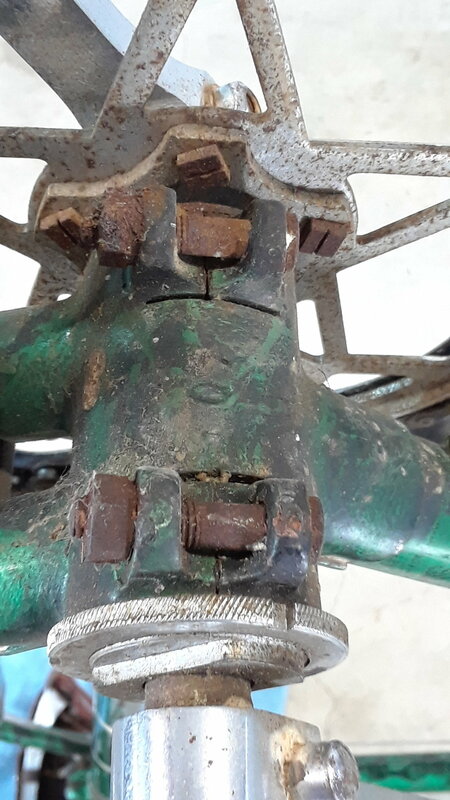 The hub gears work but it may be a little loose in the bearings. It appears the cog is threaded not the regular 3 splined SA type. I hope I can find a cog with 20-22 teeth. The paint is cleaning up well as only has a few problem areas. 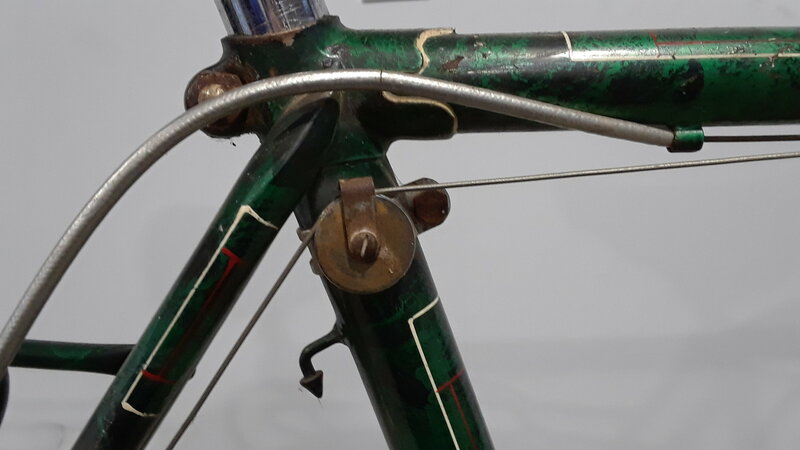 Seat stay detail shown. 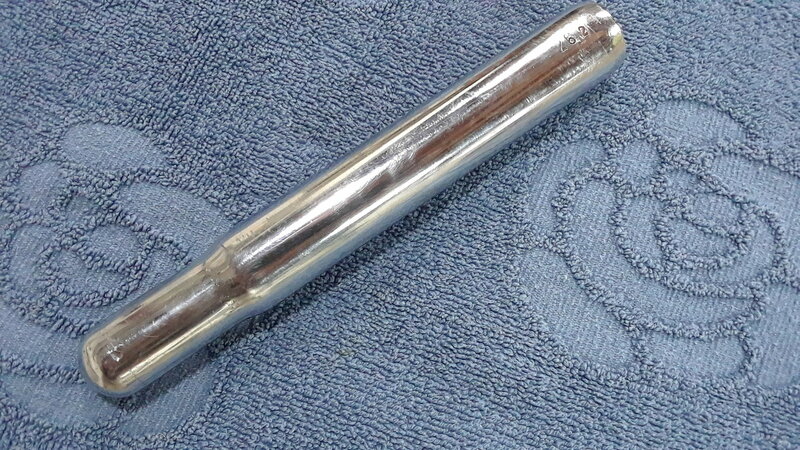 The stays are pencil thin at the tapered end. Should be a comfortable ride. Paint really does look nice cleaned up. More please! 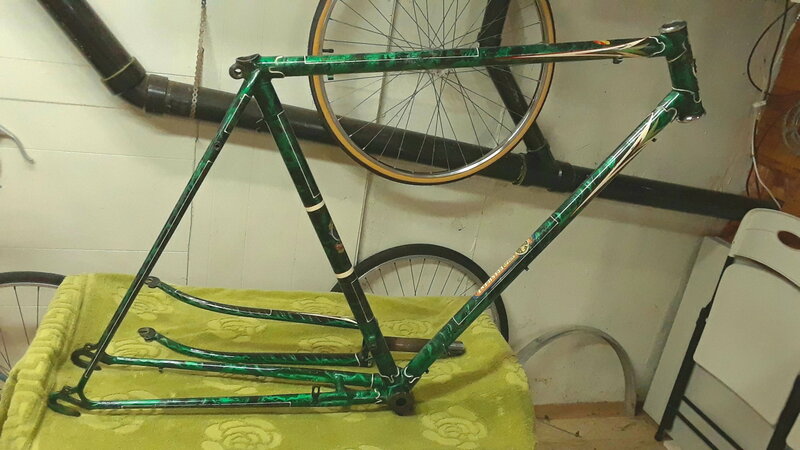 Who’s gonna wait to tackle this neat of a bike! 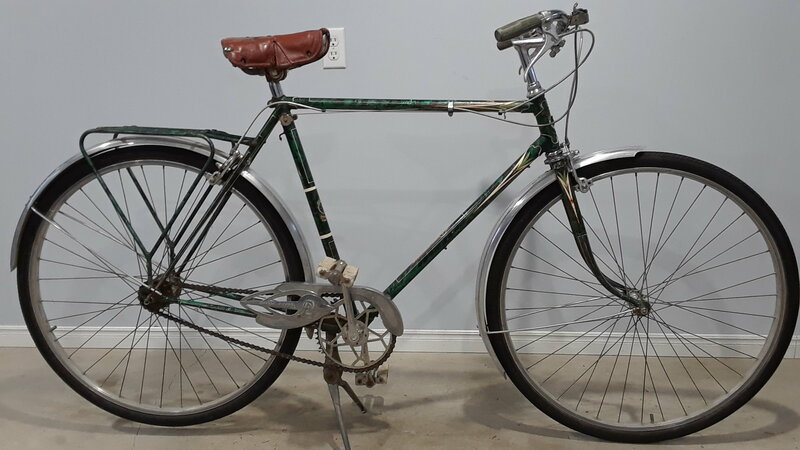 Absolutely beautiful bike, the kind of vintage stuff that really appeals to me - bicycles you can ride in street clothes, regular shoes, and don't have to make any advanced plans to go for a ride. 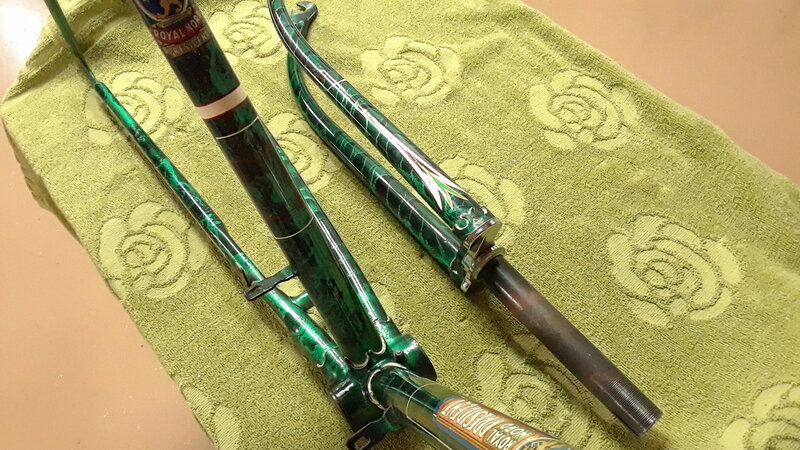 The frame is cleaning up nicely with MacQuiars Ultimate compound. 6.3 lbs without fork. 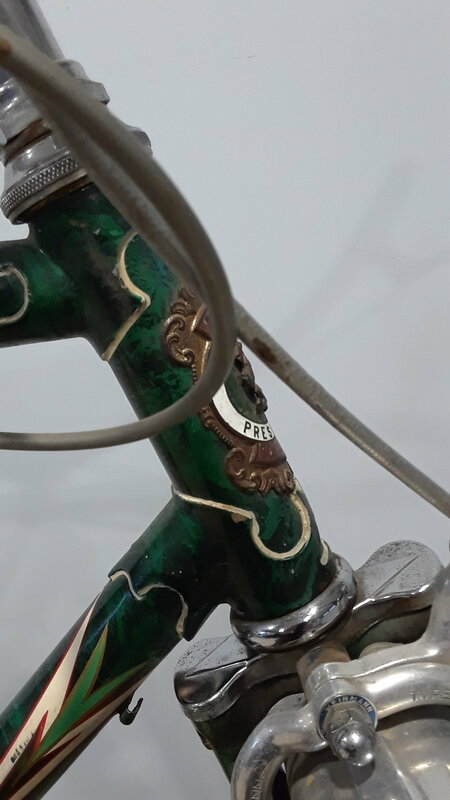 RFG= Roulement Francais Garanti a respected maker of pedals, bottom brackets and headsets among other things. Isn't the internet wonderful? 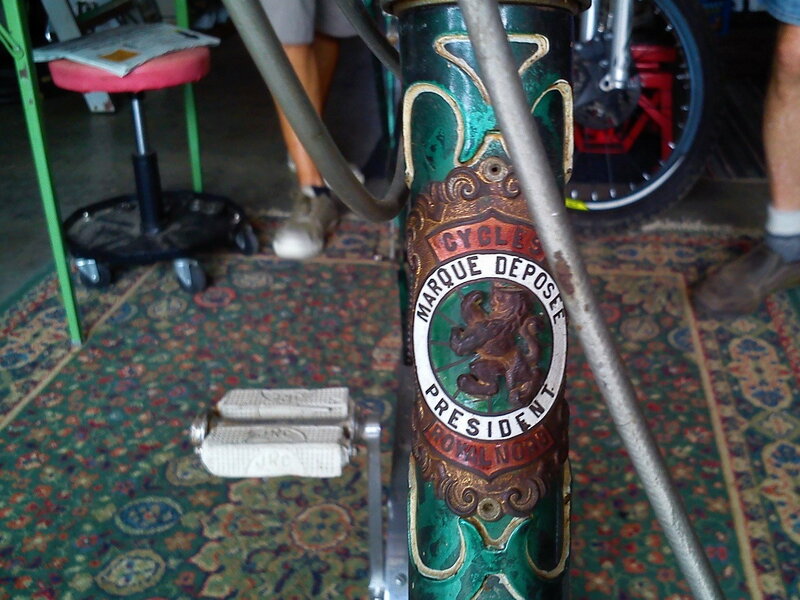 The seat post is cleaned up and ready. 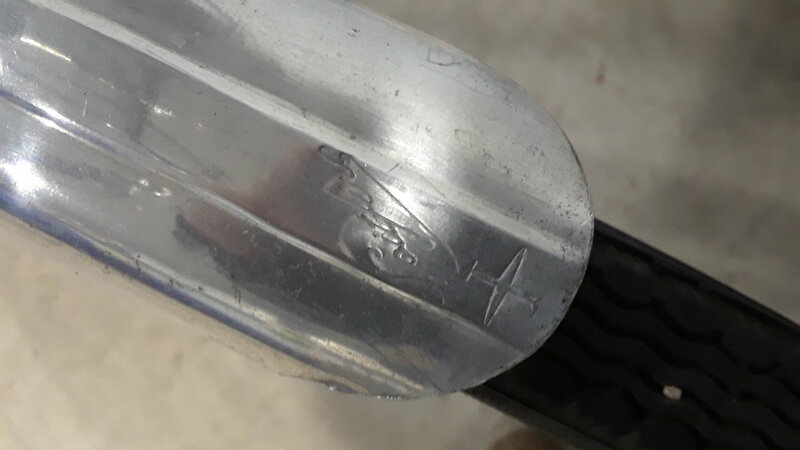 26.2mm clearly stamped on it. The post has a domed head which I had never seen before. I heard somewhere that these bikes were all made of 531 tubing. 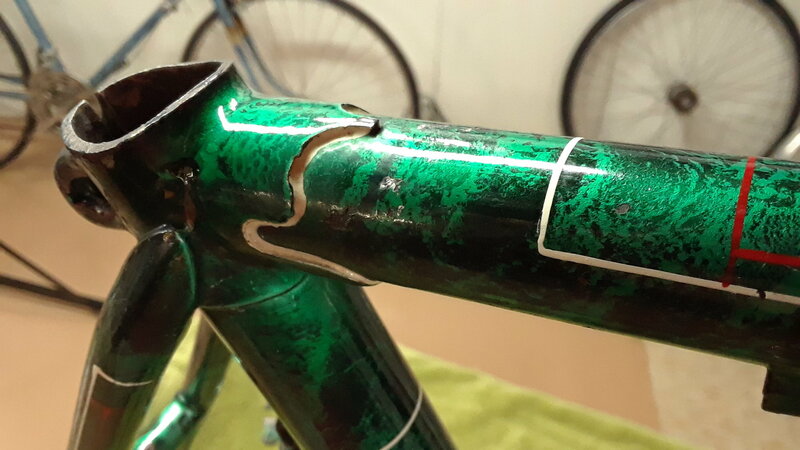 Does that seat post size support that? 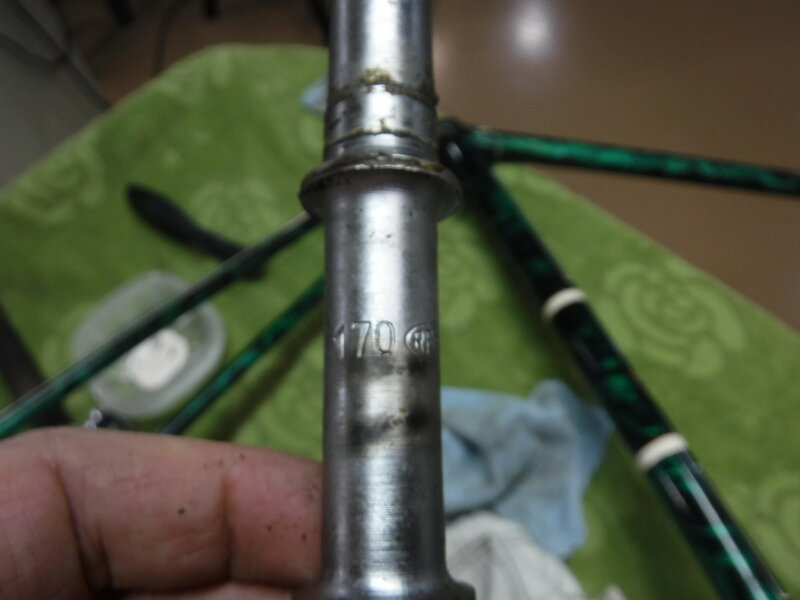 My Dawes has 531 straight gauge tubing with a size 26.4 so that 26.2 is in the ball park of 531 SG tubing.